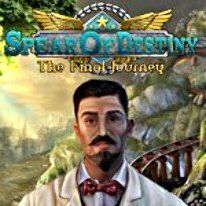 Find the Spear Of Destiny before the enemy can use its terrible power to conquer the world! In the fury of war an amazing discovery was made. The Spear of Destiny has been found after two millennia. It was believed to have been lost forever. Some even decided to describe it as a myth. However, it is real and as powerful as stories say. The Spear of Destiny can change the course of war and the enemy knows it as well. You are sent on a dangerous mission to find this powerful artifact and destroy it. As you travel across the battlegrounds in France, in your search you will face death and destruction on every step of the way but you must succeed at any cost. You don't have much time to lose. If the enemy gets their hands on the artifact, the world as we know it would be completely covered in darkness. -Find 45 collectibles and 24 morphing items throughout the world! -Replay the HOPs and puzzles!